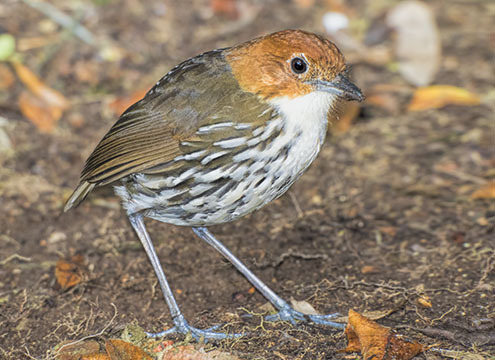 Antpittas are curious long-legged, short-tailed furnariids that usually are restricted to dense cover and are typically very hard to see. 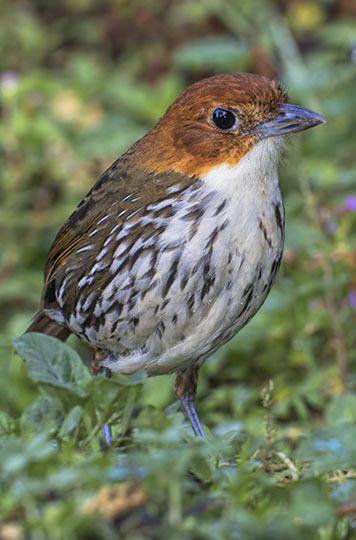 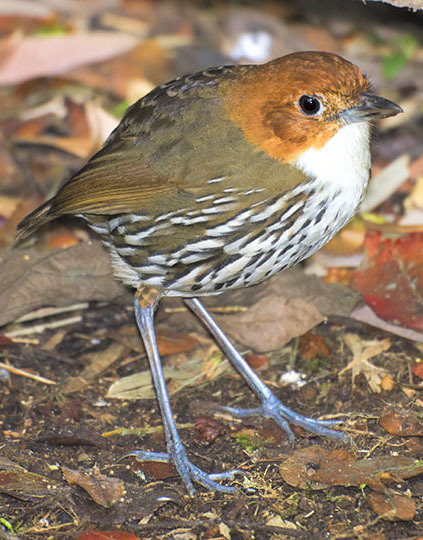 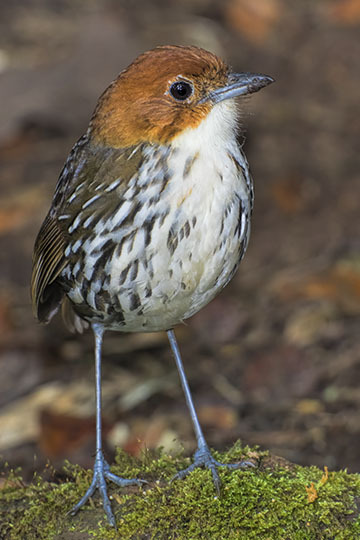 This individual is an exception: it (and several other species including the slate-crowned and bicolored antpittas) have been painstakingly tamed to come to offerings of earthworms. 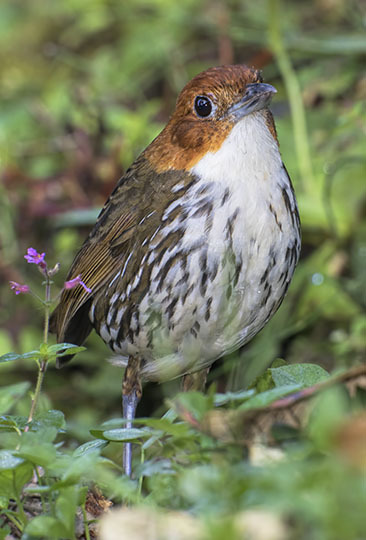 It was photographed at Rio Blanco Lodge near Manizales, in the Central Andes of Colombia. 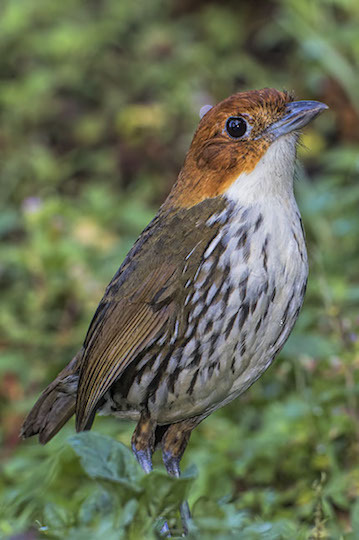 Chestnut-crowned antpittas are large and fairly aggressive; this one very effectively kept a smaller brown-banded antpitta away from the worms.